TAMPA, Fla. – On a historic day for the evolution of soccer in North America, the United Soccer League has unveiled a new structure and brand identity for each of its top three leagues ahead of the 2019 season. “Today’s announcement comes at the dawn of an exciting new era for our sport,” said USL CEO Alec Papadakis. “The USL has spent the past eight years transforming our league to meet the evolving needs of our team owners, players, coaches, fans and partners. We have established our place in the U.S. soccer landscape while blazing the trail for professional soccer’s future by introducing a new third division, completing the nation’s professional soccer structure. “We are bringing three leagues under one central brand that will uniquely represent the USL’s vision for the future and give rise to local passion in new cities currently without professional soccer. The new brand and logos are inspiring and convey a new direction. They are innovative and modern and tell a story but more importantly, refuse to let others define us. The USL will now be modeled after a tried and respected international structure. One central brand, three leagues: USL Championship – the pinnacle of competition; USL League One – the foundation of professional soccer; and, USL League Two – the Path to Pro. The new structure and branding will go into effect in advance of the 2019 season, at which point the USL will also unveil a modernized league website in order to showcase new, engaging digital content and help to better tell the organization’s story as it continues to push the limits of what is possible for professional soccer in North America. The USL’s new corporate logo symbolizes the growth of professional soccer in North America, incorporating 13 stripes to represent the U.S. flag. The blue letters pay homage to the league’s past while the new, modern logo and the white sphere represents a soccer ball in motion – propelling our sport forward into the future. 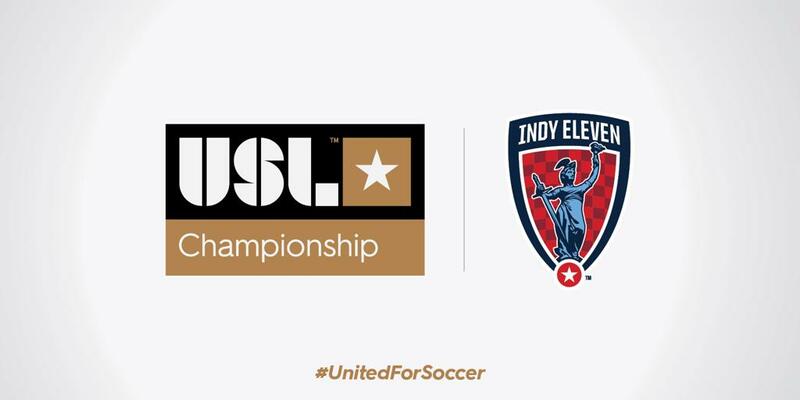 The pinnacle of competition – the USL Championship features a new gold design and represents the ultimate goal for players, coaches, fans and communities, all of whom aspire for excellence both on and off the field. The foundation of professional soccer – USL League One makes its mark with a vibrant, colorful identity, as it gears up for its debut in the 2019 season with league leadership and ownership that will forge a unique identity – driven by determination, unity and inspiration. League One brings discovery – delivering professional soccer to communities without a team, offering the first chance for new fans to dance and sing for 90 minutes, to fall more in love with the game every single week. League One also provides the opportunity and the first step in the professional ranks for players and coaches yearning to climb and pursue their dreams. The #Path2Pro – the PDL will become USL League Two – the elite pre-professional tier in North American soccer and the established developmental platform for U-23 and collegiate players, fans and communities. Maintaining its heritage with a bold, red logo, League Two will continue to forge the game’s future, delivering the first taste of premier competition in an authentic national soccer environment with a hyper-local focus. It is the gateway to stardom for those who prove they belong and have the desire to advance into the professional ranks, providing more than 70 percent of players selected in the MLS SuperDraft over the past eight years.